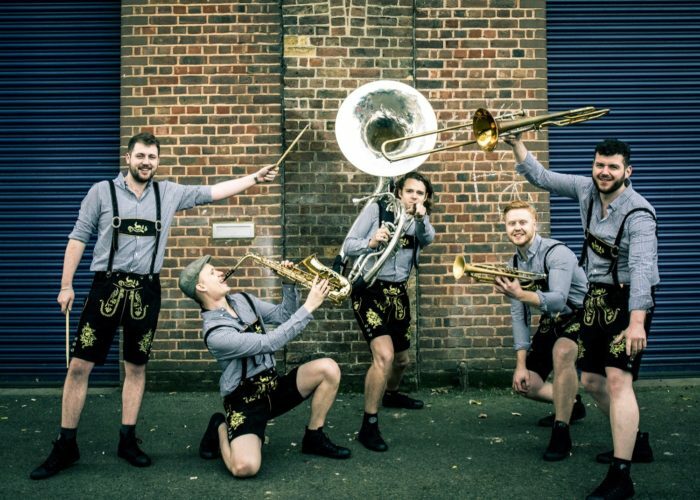 The Lederpop Brass Band are a fresh and vibrant group of top session musicians that are taking the oompah scene by storm. These 5 young musicians are practiced at putting on nights of music you'll be talking about for years to come! Their performances contain rousing renditions of popular songs played in an oompah style, alongside hilarious party games with the audience. All that, plus the band's traditional lederhosen attire. The band's live show is fun, high energy and tailored to suit each individual event. The musicians love getting an audience involved in their performance, and hyping up the crowd long into the night. The Lederpop Brass Band's musicians have performed at huge UK festivals including Glastonbury, Bestival, Reading and Leeds, as well as at iconic venues such as The o2 Arena, Wembley Stadium and The Royal Albert Hall. They've also appeared in West End shows and on national TV and radio. The band can provide a playlist service between sets (designed to fit the oompah feel of the event), or you can upgrade this to have a professional DJ for the full party experience. They can perform as an acoustic band (with the option to be roaming too) or plugged in with a PA system and static in larger venues. 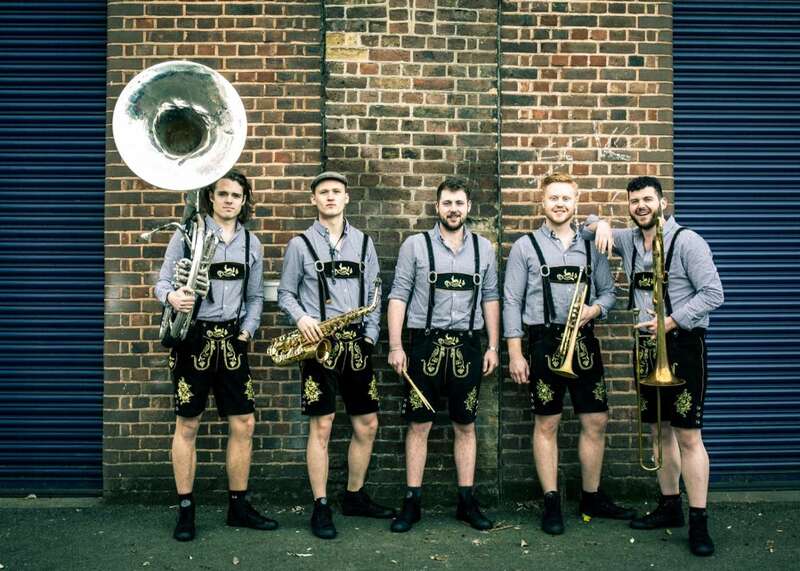 The Lederpop Brass Band are the ideal choice for Oktoberfest events, beer festivals and apres ski, but they also work just as well at parties, weddings and corporate events.